The process of upholstery track installation is quite an easy one. Of course, it may be different from what you have experienced before. I can assure you that you will learn quickly. After a few lengths installed, you will feel more comfortable and gain speed. The trick is not to rush at first. Practice with a mock-up, in your workshop or in your own home. Therefore, you will be well prepared when it comes fitting them at a client’s house. Step by step on how to deal with an upholstery track installation? Take a brad nailer and place CES track against the molding. Don’t press too hard, let it just rest. Start nailing the track every 2 to 3″ apart. Stop before reaching the corner. With a pencil, mark the end where you need to cut the track. Use a track cutter tool and cut along the line. 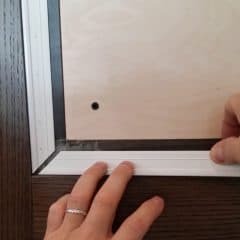 Verify the track fit well on the wall, not too long or not too short. Then cut at 45- degree angle. Finish nailing up to the corner. Take another piece of track and cut at 45 degrees at one end. Place it to make a mitered corner and fix the track to the wall. Repeat these steps until you are back from where you started. 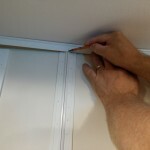 Tips: Begin your installation with vertical corners. Place two tracks facing each other and staple simultaneously. 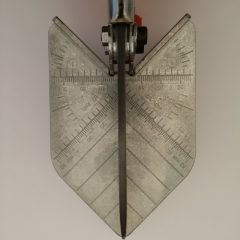 Do not forget to cut angles at the extremities. There is a brochure included with the tube of CES tracks. Please read it with care as it is full of information. 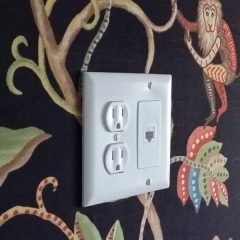 Customers can purchase wall upholstery tracks at CleanEdgeSystem.com in the shop section. By the same token, get some upholstery tools for installing your CES. There is a good panel of quality products. Investing in a few tools for your first job is a good idea. You will use them happily on every future project.